In the spirit of all that is Halloween, I'd like to make a proposition. I've been seeing all over the vast realm of the internet that many houses now display teal pumpkins when they offer safe non-food type items (particularly helpful if you have a child with a life threatening allergy). Usually, these are some small Halloween-themed toy or other goodie. I think it's a great idea! 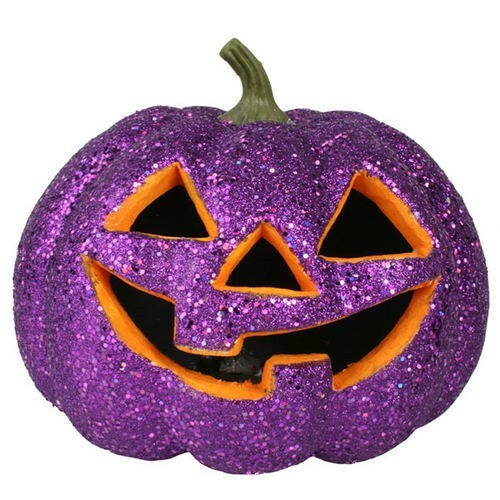 However, I think it's time we take it one step further and introduce... the purple pumpkin. 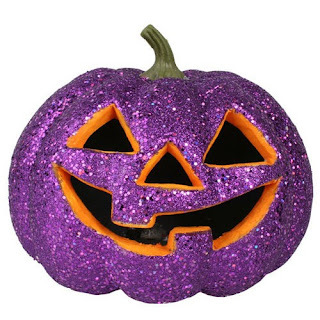 The purple pumpkin will be proudly displayed at houses that offer adult beverages for trick-or-treating parents! Running low on your beer while your children are gathering candy for you to pilfer later? No problem. Knock on the door to the purple pumpkin house. Finished off the last of your Merlot along with your kids Snickers bar from the last house? Not a problem. There's another purple pumpkin house down the block. In the mood for something with a kick? Halloween spirits have taken on a whole new meaning when you're offered a shot of something spook-tacular! Tip back the glass from the purple pumpkin house and weave your way down the block. After all, you need something to help wash down all your children's candy. So adults unite -- proudly display your purple pumpkin!